The SS United States, an ocean liner bigger than the Titanic that once carried celebrities across the Atlantic at record speeds, may one day sail again. 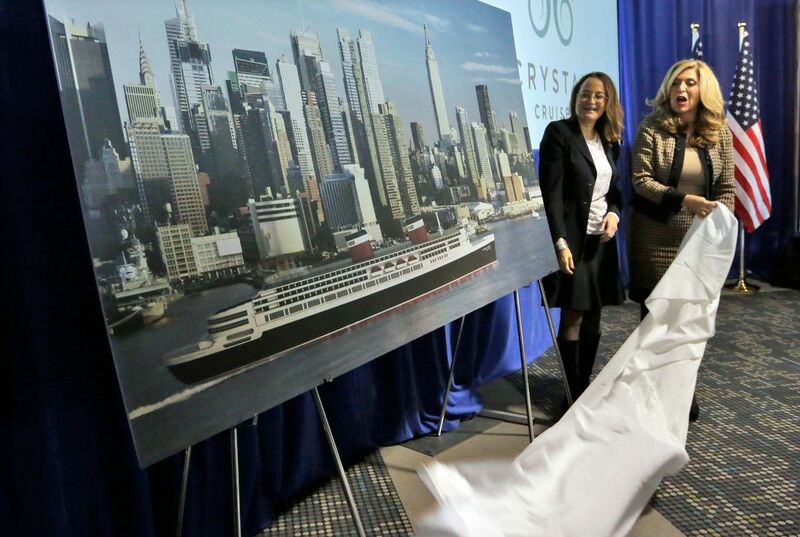 Crystal Cruises luxury travel company has plans to overhaul the ship at a cost of at least $700 million. The massive steamship has been docked in Philadelphia for two decades, gutted and rusting at an unused wharf on the Delaware River. But before it can be turned into a state-of-the-art commercial vessel, the SS United States must undergo a nine-month feasibility study. In its glory days in the 1950s, the ship carried everyone from royalty to immigrants across the Atlantic Ocean, accompanied by three on-board orchestras. At the time, it was the biggest and fastest ocean liner that had ever been built in the United States - at 990 feet, it's 108 feet longer than the Titanic. On its maiden voyage in 1952, the liner's 268,000-horsepower engines propelled it across the Atlantic in three days, 10 hours, 42 minutes. That record stood until 1990. The ship was decommissioned in 1969. The SS United States is now owned by a conservation group, with a purchase option signed by Crystal Cruises. This is not the first time plans have been in the works for refurbishment. In 2003, the Norwegian Cruise Lines said it planned an overhaul that did not materialize. Why was the SS United States left rusting? The SS United States may be overhauled by Crystal Cruises luxury travel company for $700 million in the hopes that this ship will sail again. At 108 feet longer than the Titanic, the SS United States transported celebrities and even immigrants across the Atlantic Ocean in the 1950s. This speedy ship was decommissioned in 1969, but many hope to restore it to its original beauty and efficiency. I think this ship, if restored correctly, could be beneficial as a commercial vessel. This ship could transport goods and even passengers efficiently and relatively inexpensively. It does concern me, however, that the steamship has been sitting stationary at a dock and rusting. I hope the restoration is effective. How cool would it be to see a ship larger than the Titanic running again! The SS United States was left rusting because it was docked in Philadelphia for two decades. During those two decades if was unused, which allowed rust to accumulate. IT'S cool that it was longer than the titanic! 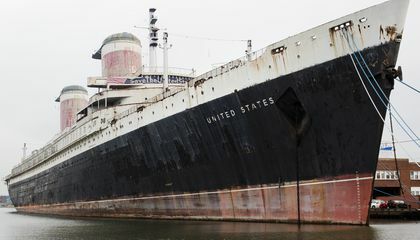 The SS United States was left to rust because it was decommissioned in 1996 and would be left in the water for a long time rusting and would not work after all the years of rusting and sitting.